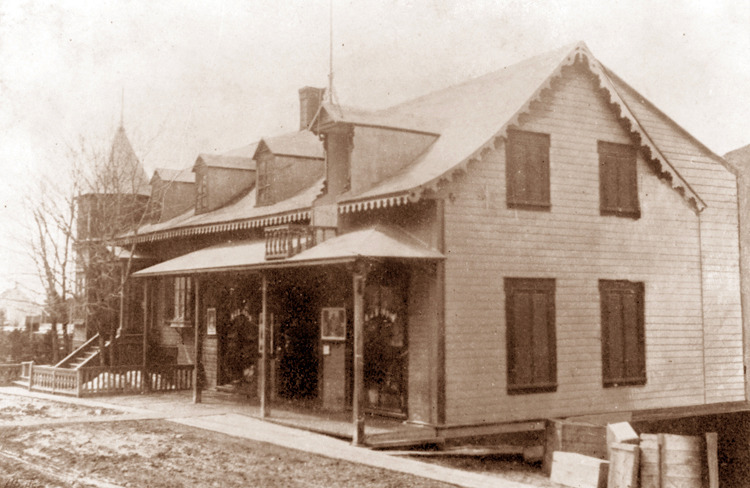 The Sirois General Store, around 1900. From around 1865, in the basement of Henri-Joseph Sirois’ house, villagers of Cacouna and summer tourists alike could find everything they needed. The original house, of a traditional style, had been enlarged in 1873, and renovated again in 1898, with gingerbread trim, bay window and tower typical of the Victorian period. On the ground floor of this elegant general store, the customers could ask for groceries, including Victoria Brand products, as well as various household items. A wide selection of linens and clothing could be found upstairs. Gasoline was sold out front, and building material was kept in sheds. 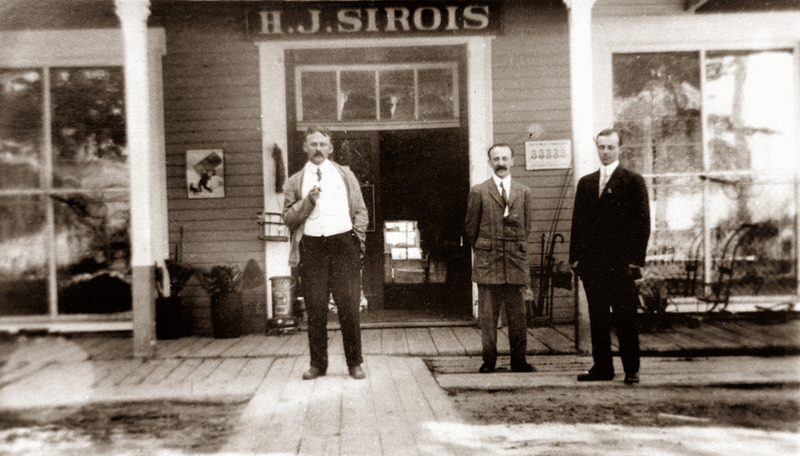 In front of the Sirois General Store, with Antonio and Valmore Sirois, owners, around 1910. Henri-Joseph’s son took over the store in 1910, and Antonio and his children carried on the family business. The building housed the Canadian National Bank and the Caisse Populaire for a period of time, and the post office for over thirty years. 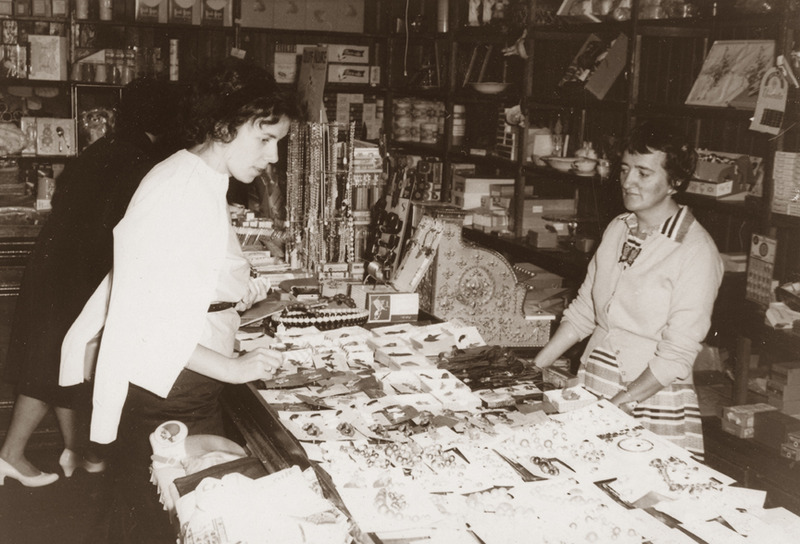 In the five-and-dime store, Thérèse, daughter of Antonio Sirois, answering her clients in 1961. The old general store was replaced in turn by a five-and-ten souvenir and handicrafts shop. To this date, the community elders can still bear witness to the days when the Post Office occupied part of the Antonio Sirois general store (1928-1958) and wistfully recall how kindly his daughters, May, Yolande and Thérèse welcomed them. An exhibition on the theme of La Belle Époque era, presented at the launch of the heritage walk in 1994. 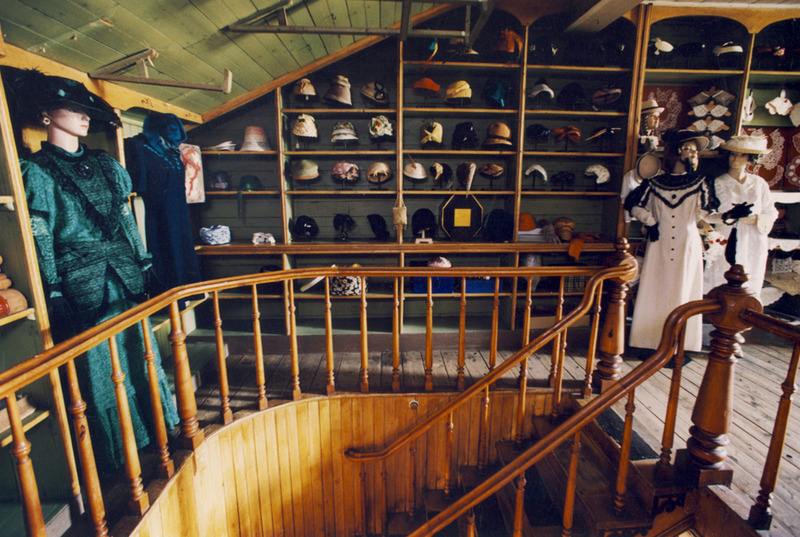 Fine lingerie, goodly hats and an assortment of tailoring tools and materials were sold on the top floor, around 1910.